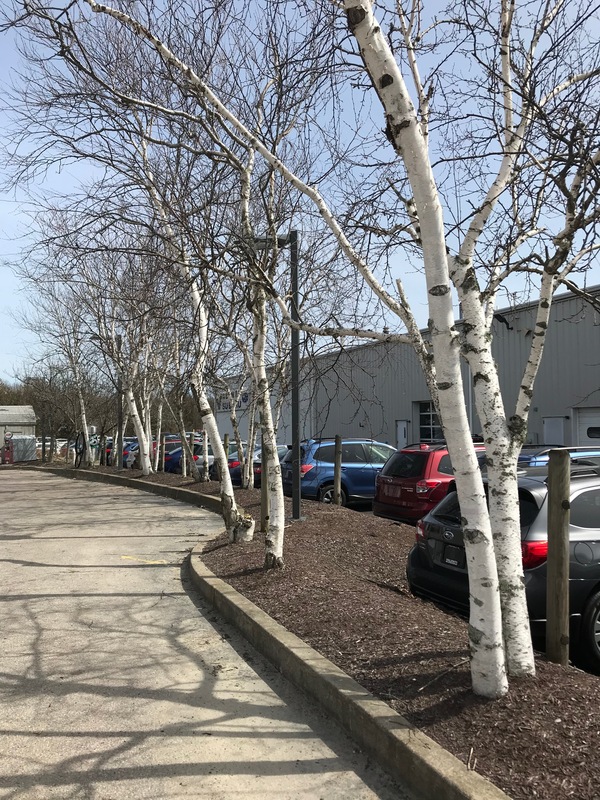 I have been watching this line of white birch trees for years. 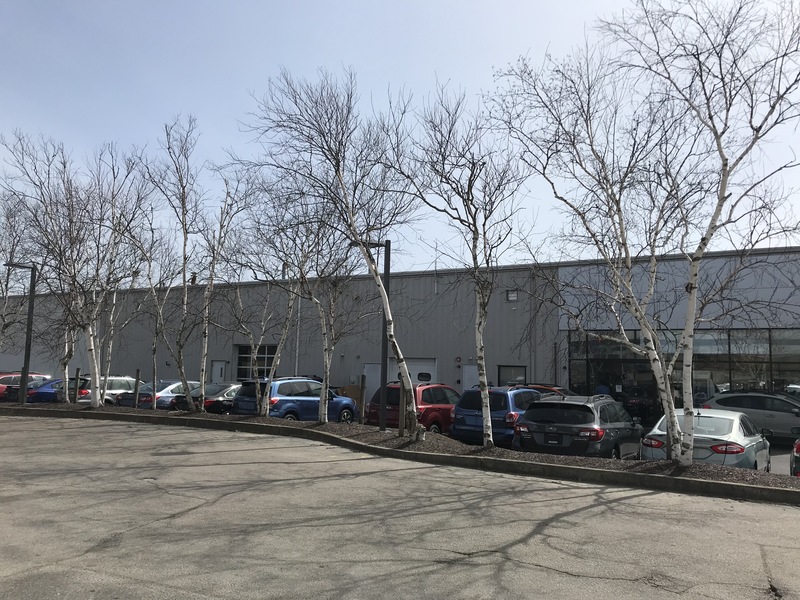 Most people would probably never give them a second look, but to a tree geek like me they are a marvel, because they shouldn’t be doing so well in a narrow strip, sandwiched between a car dealer and a gas station. Like so many trees, they are buried in mulch, which has been applied right up to their trunks. (If you are going to use mulch, please keep it away from the trunk. Tree roots need to breathe.) But to me, the interesting thing is that despite this terrible location and poor care, they are doing quite well. 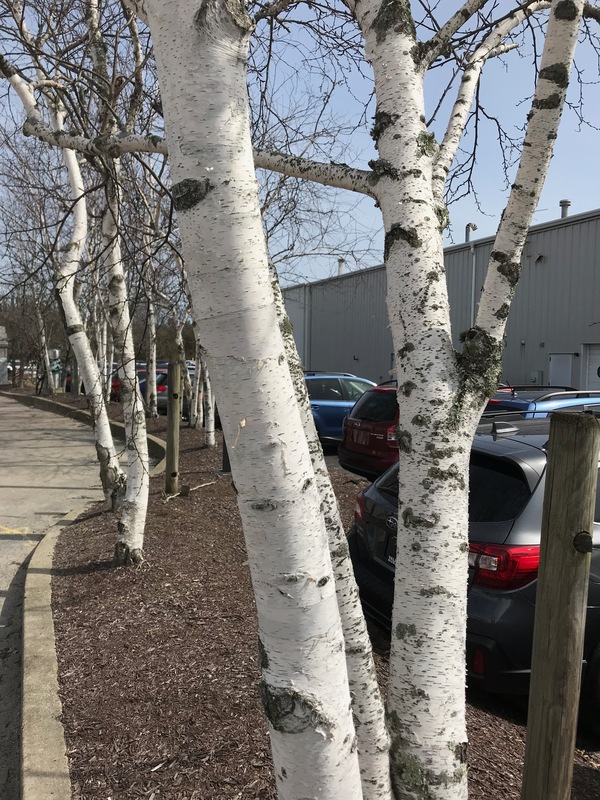 White birches are everywhere in Quebec where I grew up, but in Rhode Island, they are not liking the hotter, dry summers and we are urged to plant river birches instead. For some reason, though, these trees are happy in their unlikely gas station habitat and I always enjoy looking at them when I stop here. I never knew mulch near the trunks was bad for the trees. Why is it placed like that if it’s not good for them? Landscapers seem to think it looks neater, and they don’t care if trees die because then they get to plant new ones. Tree roots really need to breathe, so if you mulch, keep it away from the trunk itself.